Have you ever felt trapped by a day job? Paying for rent and groceries is somewhat essential so it can hold us hostage with fairly little effort. We will give more of our time, talent and energy to that activity that supports us financially more than anything else in our entire life. Which means, if we are unhappy in our day jobs, we are just unhappy. 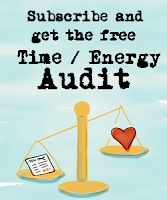 Being in a position misaligned with what we are truly good at. Dealing with a terrible boss or being derailed by office politics. Not feeling connected to a purpose for what we are doing. Feeling stuck, underpaid or underemployed. Feeling like life is too short to live someone else’s dream. While none of these are easy to solve, it is possible to either make your existing day job better or to get a much better job completely. Not by some fairy godmother who will automatically change our circumstance, but by taking strategic actions to resolve specific issues related to purpose, people, position, profit and priority. 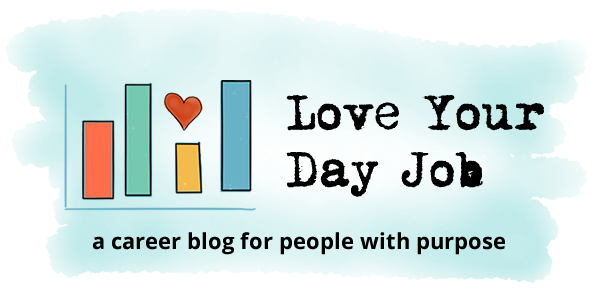 1) If you are unhappy and want to know what is currently blocking you from loving your day job? Take the quiz! 2) If you are trying to make the decision if you should stay or go from your current position, read this article. 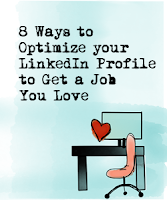 3) Subscribe using the form on the right and get: "Eight Ways to Optimize Your LinkedIn Profile to Get a Job You Love"